Will the true believers please stand!
" The truth is that Christianity is not a religion at all, it's about a relationship with the one true God through His Son Jesus Christ. " " Many are living the religious life without knowing the Savior or anything about true Christianity. Don't you know that the enemy of Christ enjoys using these folks to confuse and baffle a searching world! As long as true Christians are ashamed to speak the truth in love and are hiding behind the mask of religion and rituals then the lost world will continue to search and be drawn to various religious practices - never actually meeting the person of the Lord Jesus Christ. " Wow, way to go Ms. Sexton! Plainly and boldly stated! When are believers going to realize it's not about "joining a church" or getting "churchy".... it's not about teaching Sunday school or supporting ministries. It's all about HIM. It's not about us, and what "we're doing". It's about lifting up the name of the Lord, about glorifying the king of Kings and Lord of Lords. "Religious Leader Arrested..." Time after time we read the headlines, we hear the news reports and we just want to cry! What is going on? Will the true Christians please stand up. One of the greatest things God has shown me since surrendering my life to Him, is that He longs for me to know Him. I mean really know Him. He wants to be close to me.... have fellowship with Him. Really have a relationship with Him. I am not talking about going to "church" on Sunday. I am talking about having an intimate and personal relationship with God.
" We believe in all meetings. We hope to attend all meetings. If there is anything to be gained from meetings, we seek after them". LDS are known to have a meeting just to "plan" another one! There was so much to "do" when I was LDS it left precious little time to be able to really get to know God and to know and understand His heart. When I surrendered my life to Jesus , I found that He wanted all of me..... not just part of me on Sundays......but He wanted all of me, and that has nothing to do with going to church and meetings. He wanted to have fellowship with me, and like the story of Mary and Martha, I needed to chose the "better part" and sit at the feet of the Lord. Since surrendering my life to Jesus, I have experienced that sweet fellowship with the Lord. Those moments of deep intimacy -- whether that is thru prayer..... or worshipping Him thru music... or just having time with Him as I walk across the green fields of our farm...... He wants me to Himself..... and I long to know Him. So much has changed. I have been pondering a lot about the radical changes that have occurred in my life since I surrendered to the King. For once in my life, I know God.... maybe just a little...but I really feel like I know Him... and that He truly truly knows me.......... man, that is so sweet. I wanted to spend some time blogging about this fundamental difference I have experienced since being born again. Jesus is now the center of my life, and my life evolves around HIM , not around church. Do I attend church? Sure, I do! 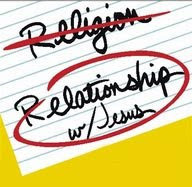 I enjoy the fellowship with other Christians, but it is not my "focus" or my life or the center of my life. The center now is Jesus. Goal: Trust fully in Jesus, then live to please HIM! "Man's way to reach God is religion. God's way to reach man is JESUS". Please join me in praying specifically for the Mormons. Please pray that God will draw them to HIM, and that they will long to know the King. What is the gospel? The word gospel simply means " good news". The central message of the Bible is the gospel, or good news, about the person and work of Jesus Christ. In 1 Cor.15:1-4, Paul provides the most succinct summary of the gospel: The man Jesus is also God or Christ and died on a cross in our place, paying the penalty for our sins, three days later He rose to conquer sin and death and give the gift of salvation to all who believe in Him alone for eternal life. The great reformer Martin Luther rightly said that, as sinners we are prone to pursue a relationship with God in one of two ways: The first is religion/spirituality and the second is the gospel. The two are antithetical in every way. Religion says that you should trust in what you do as a good moral person. The gospel says you should trust in the perfect sinless life of Jesus because He alone is the only good and truly moral person who will ever live. The goal of religion is to get from God such things as health, wealth, insight, power and control. The goal of the gospel is not the gifts God gives, but rather God as the gift given to us by grace. Religion is about what "I" have to do. The gospel is about what I get to do. Religion sees hardship in life as punishment from God. The gospel sees hardship in life as sanctifying affliction that reminds us of Jesus' sufferings and is used by God in love to make us more like Jesus . Religion is about "me". The Gospel is about JESUS. This quote is taken from a the book : Gospel Principles, a book that is published by the LDS Church, and is an official publication. This book is used as a manual for the LDS Sunday School Class, called " Gospel Principles" or the new member class that is taught to new or returning LDS. While I agree with the LDS that many people today view marriage as a "legal contract" and do not give it the serious regard that the Lord gives it, I would like to look at the LDS belief that marriage can be forever. The Lord spoke of marriage various times. We have His recorded words. Jesus spoke very plainly and clearly regarding marriage in the next life. Those that are counted to obtain "that" world ( heaven!) and the resurrection , will not be married. They will be like the angels. The LDS know these verses and will say that these verses refer to the resurrection, not life eternal. 3 gospel writers included this passage in relation to the question asked by the Sadducees about marriage in the next life. He spoke very plainly and clearly. For those who are obtain " that " world -- that is life eternal in the presence of our God, they will not marry or be married or live in the married state but we will be as the angels of God, and ARE the children of God. For Latter-day Saints, they believe that without the temple marriage sealing, there is no possible way of entering the presence of God. ( D & C 131: 1-3) They believe that only those men who hold the LDS priesthood ( called the Melchizedek priesthood) have the authority to "seal" or marry a couple not only for this life but forever. 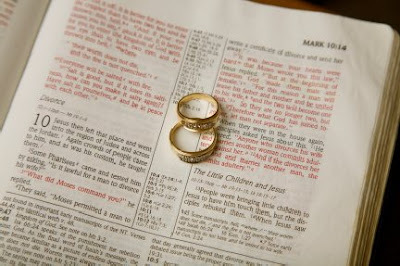 As Christians, we believe that God ordained marriage. We believe He gave Eve to Adam to be his wife and help meet. He told them the two, shall be one. Marriage was designed by our Creator. He saw that Adam was alone and took a rib from Adam and created Eve to help Adam. We will enjoy the blessed state of an eternal family in Christ in Heaven. If our children also believe and receive Christ, then they too will be in Heaven with us in God's eternal family. If our spouses receive and believe in Christ, they too will be there in God's eternal family. But rest assured, we will not experience a married state in Heaven -- I believe we can't even imagine what life eternal will be like! The fellowship we will have with God will fill us completely. Married life and conjugal relations are earthly. We are not married in heaven. Our spouses who are Christian will be our brothers and sisters in heaven. I can't wait!! Jesus never taught us that marriage was eternal. That the marriage state will continue and that couples will have "spirit children" and receive "exaltation". Jesus did teach us that we may have life eternal in Him when we are born again and receive Him as our Lord and King. When I was LDS, I "hoped" to have an eternal family. I wanted to live forever with my family and God. Now, as a Christian I KNOW I have an eternal family. Most of my children have received Christ and believe He is their Lord and King. If any one of them were to die today, I would most definitely would see them again in the Kingdom of God!!! I have a hope and assurance now that I didn't before!! The LDS believe that having an eternal marriage and family is dependent on their obedience to the LDS ordinances and laws. ( see my previous post on marriage to read the LDS wedding covenant made in the LDS temple). Marriage was intended for this life, as our Lord plainly put it. The Bible also speaks plainly that it is ok to chose a life of singleness as well. Paul writes about this extensively. Our married state does not determine our salvation state and where we end up in the next life. Praise God for that! My salvation and eternal life is not dependent upon my husband! It's dependent upon what JESUS did for me so long ago. His work, guarantees me eternal life. In the next life, we will have a fullness of fellowship with God and will truly enjoy the blessings of living in God's eternal family! I can hardly wait!!! It's going to be awesome! I recently attended the wedding of my niece. Our family travelled across the country for her special day. She was a beautiful bride. Her beautiful long black hair and olive skin looked stunning next to her beautiful white gown....... I remember the day she was born. Can it be that she is now a grown woman and married to the man of her dreams? Where has time flown? As we sat in the chapel and listened to the ceremony I was so very touched by the vows that my niece exchanged with her beloved. They were traditional vows, but they really touched my heart..... I was so touched....... I wept....... and my niece was weeping as she pledged her love and commitment to her husband. It was beautiful. Officiator: Brother ______, and Sister ______, please join hands in the patriarchal grip or sure sign of the nail. Couple: Joins hands in the patriarchal grip ( a hand grip similar to the boyscout hand shake) . No clothing is supposed to interfere when this grip is given to one another. Officiator: Brother_______, do you take Sister Pickering by the right hand and receive her unto yourself to be your lawful and wedded wife for time and all eternity with a covenant and promise that you will observe and keep all the laws, rites and ordinances pertaining to this holy order of matrimony in the new and everlasting covenant, and this you do in the presence of God, angels, and these witnesses of your own free will and choice? Officiator: Sister ___________, do you take Brother Pickering by the right hand and give yourself to him to be his lawful and wedded wife and for him to be your lawful and wedded husband for time and all eternity, with a covenant and promise that you will observe and keep all the laws, rites and ordinances pertaining to this holy order of matrimony in the new and everlasting covenant and this you do in the presense of God, angels, and these witnesses of your own free will and choice? Officiator: By virtue of the holy priesthood and the authority vested in me, I pronounce you legally and lawfully husband and wife for time and all eternity, and I seal upon you the blessings of the holy resurrection with power to come forth in the morning of the first resurrection clothed in glory, immortality and eternal lives, adn I seal upon you the blessings of kingdoms, thrones, principalities, powers, dominions, and exaltations, with all the blessings of Abraham, Isaac and Jacob and say unto you: be fruitful and multiply and replenish the earth that you may have joy and rejoicing in the day of our Lord Jesus Christ. All these blessings, together with all the blessings appertaining to the new and everlasting covenant I seal upon you by the virtue of the holy priesthood through your faithfulness, in the name of the father and the son and the holy ghost. Amen. Basically an LDS couple is making a "covenant" or promise to be faithful to the LDS ordinances, laws and rites. They make no promise to love one another, to cherish one another, to be there in sickness or health or good times or bad. Nope. There is no exchange of rings as a symbol of their love and commitment. There is no lighting of the unity candle, to symbolize that they will be a "light" to the world. Finally there is no glorifying God in the entire ceremony. There is no singing His praises or promising to be faithful to God. The promise is made to "observe and keep all the rituals rites, laws and ordinances". There is no promise made to one another other than to take the said person as your lawful wife or husband. After attending my niece's wedding I can honestly say there is no comparison. 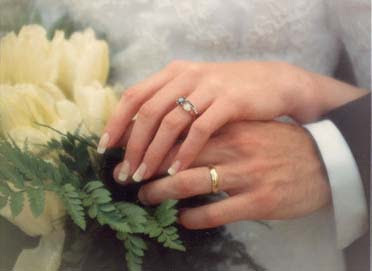 Male: I ______ take you, ________to be my wedded wife. To have and to hold, from this day forward, for better, for worse, for richer, for poorer, in sickness and in health, to love and to cherish till death do us part. I hereto pledge you my faithfulness. Wife: I ______ take you, ______ to be my wedded husband. To have and to hold, from this day forward, for better , for worse, for richer, for poorer, in sickness and in health, to love and to cherish till death do us part. And hereto I pledge you my faithfulness. The Christian couple makes promises to one another. They are promises to love, to cherish, to be there in good times and bad. I was also touched when I watched my niece being walked down the aisle by her father....... it was so beautiful. When the pastor asked "who gives this woman to be wedded today and the father answered : " I give my daughter to be wedded today"..... I just wept..... I know how much my brother in law loves his girl. My dad never got a chance to walk me up the aisle. He had to stay outside the temple and wait for me to come out before he could kiss me and hug me. I knew how hard that was for him. It just about broke his heart to not be there on my wedding day. The Lord spoke and taught about marriage. He believed that marriage was one man and one woman joined in one flesh. That is the picture of marriage taught in the Bible. That has always been God's plan for marriage.
" Husbands love your wives, even as Christ also loved the church, and gave himself for it. So ought men to love their wives as their own bodies. He that loveth his wife loveth himself. Nevertheless let every one of you in particular so love his wife even as himself and the wife see that she reverence ( respect) her husband. " What a beautiful passage on marriage! A godly man should love his wife , enough to lay down his life for her as Christ loved us.......when a husband loves his wife like this, then the wife is easily able to submit to his headship and reverence or "respect" him. God knew that men needed to be respected and women needed to be loved. He created us that way. Women have a need to be loved and cherished and men have a need placed in them by the creator to be respected and reverenced. What a beautiful picture of marriage! Marriage was not designed to be a vehicle for us to receive dominions and powers and kingdoms. Marriage, ordained of God is a symbol of the relationship Christ has with His bride - The Church - one of love and reverence. This week it has been on my heart to study more about what the Bible says about God's Word. The Words of our precious Lord are recorded in the Bible. The Bible has withstood the test of time, and the words of our Lord were guarded and preserved for generations. How thankful I am for all those men who guarded God's word!! Not one of the Lord's words will pass away.. that is His promise to us ( red letter in my bible!) . These passages clearly tell us that every one of God's words are pure. For something to be pure it has no blemishes. God's word has not "blemishes" ... no errors, not mistakes or mistranslations. The word of the Lord are as pure as silver that has been tried , purified 7 times!!! Now that is pure! If a piece of silver has been placed thru a hot furnace 7 times, what will the silver be like once it comes out of that furnace???? Is there going to be any blemishes left??? I don't think so. That is how pure God's Word! It is without blemish. The Lord has also promised us that He shall preserve HIS Word forever. That is exactly what God has done! He has truly preserved the Word of God found in the Bible thru generations and it will continue to be preserved! God's word has been tried. It has past the test of time. His promises in His Word of salvation thru Jesus has not been written in vain. The bible has accomplished what God hoped it would -- to bring the message of salvation to a lost and dying world! As Peter wrote in 2 Peter 1:20-21, scripture did not come from "private" interpretation, by the Holy Ghost. The Bible is pure, without blemishes and will be preserved forever! Wow, don't we have an awesome God! His word truly is a lamp unto our feet and a light unto our path! I am always encouraged when you leave comments, and even more encouraged when LDS readers leave a comment. Thanks friends for taking time to leave your comments here. I also appreciate that the tone is courteous. :) Thanks! I wanted to take a moment and respond to a comment left here in response to my post on the Bible.
" You don't have to believe the Bible is inerrant to believe the Bible. " First of all, I wish to thank Seth for taking time to stop by my blog and sharing his thoughts about the Bible. I have visited enough blogs and sites that are similar to mine to know that the comments left are not always shall I say "kind". :) Thanks Seth for your courteous sharing. I just wanted to take a moment and respond to Seth's comment, about "not having to believe the Bible is inerrant -- that is without error-- to believe in the Bible and it's message. " Seth also mentioned that in the Book of Mormon it mentions various times that the Book of Mormon is not without error. Seth is correct. The Book of Mormon does not claim to be a inerrant book. That is, it openly declares it contains errors. I want to point out to Seth and other LDS readers who may actually read the Bible , is that no where in the Bible does it state by any of it's writers that it contains errors. Not one place that I know of. On the contrary the Bible declares that God's word shall accomplish what is sets out to do ( to share the message of salvation thru Christ) and that it shall prosper in the thing that God sends it out to do. God's Word, is found in the Bible. It shall accomplish that which He desires and shall prosper. God reveals Himself to men by His Word, which shall not return to Him in vain. ( void) The Word of God therefore, accomplishes His purposes by announcing salvation to all mankind. Thus the great need and importance the world has, to read the Bible.
" Declaring the end from the beginning and from ancient times the things that are not yet done, saying: "My counsel shall stand, and I will do my pleasure.... yea, I have spoken it I will also bring it to pass, I purposed it, I will also do it." He speaks thru His Word and what He declares and has declared shall come to pass. We see that over and over again thru the Biblical prophesy. Prophesies about our Lord's birth, life, and eventual sacrifice was prophesied years prior. What God has declared in His Word, has come to pass. There is yet things to come to pass as well. His eventual return for His Bride, The Church is something we look forward to as believers. What God has spoken is found in the Bible. It shall truly come to pass , if it has not already been fulfilled. The concern I have with the LDS view that the Bible is not inerrant, and does have errors, is that "if" that is the point of view the reader has about God's word -- then how can the reader of the Bible truly come to trust God? How can one "trust" something that it believes contains error? To say The Bible contains errors is to declare God is a God of errors. As I mentioned earlier, The Bible does not declare itself to be a book that contains errors. The writers of the Bible, were inspired by God. This refers to the supernatural guidance of the writers of Scripture by the Holy Spirit, so that what they wrote was the divine Word of God, transcribed accurately, reliably, and without error in the original manuscripts. The word "inspiration" itself pictures God "breathing" out His Word to men. Since the scriptures are given to help Christians grow in their walk with the Lord, they should rely upon them for doctrine, reproof, correction, and instruction in how to live correctly. The scriptures were written by holy ( holy in Greek and Hebrew means "set apart") men, or men "set apart" by God to write His Word. While in no way denying the individual personalities of the writers, or rejecting the distinctiveness of their particular styles, the Holy Spirit controlled the process of bringing things to the writer's memories. ( John 16:13) and ensuring what they recorded was the very Word of God. For example, Jeremiah once became so frustrated with the work God called him to do, he wanted to quit. But God's Spirit compelled him to go on. ( Jer. 20:9) Jonah also at first refused God's call to preach in Nineveh, but later obeyed. ( Jonah 3:1) As Christians we can read the Bible and be confident that this is the very Word of God. When I was LDS, I regarded for many years the Bible with suspicion. I had been taught that the Catholic Church had thru the years ( middle ages and early Church years) meddled with it and had taken out plain and precious truths. I was led to believe that it was not reliable, and had errors, at times significant errors. ( case in point the passage in John 3 that states God is a Spirit, that is not a man. The LDS declare that to be an "error" or mistranslated.) When I began to read the bible in earnest, I read with sincerity, wishing to read it in it's entirety. I began my study with a sincere desire to read and understand. An amazing thing happened in the process. My eyes were opened, and I came to know and understand WHO Jesus was and is, and Who God is and Who is the Holy Spirit. My eyes and heart were further opened to realize, that NO where in the Bible is there any such command to join a particular church or that one has to have membership in some religious organization to gain eternal life. No, after reading the Bible, it was so clearly laid out to me that JESUS IS THE WAY. Jesus preached Himself, He did not preach a religious denomination. It was so very simply laid out. My concern for Seth and other LDS readers is that they have been taught that the Bible contains errors. First of all, as I stated earlier no where does the Bible state that as it does in the Book of Mormon, and secondly we have texts today, ancient manuscripts that point out to us that there isn't errors as the LDS teach. The Bible can be trusted. It is not in error. Another book I highly recommend is the book : Evidence that demands a Verdict by Josh McDowell. This man , was an atheist when he began to study the Bible. He began it's study with the intent to prove it's falseness. In the process of studying God's Word, He was proved of it's truth! A wonderful and very intense book for those Bible critics out there. If one truly believes The Bible is God inspired, not of " private interpretation" or "mistranslated" then one can come to understand and know that Jesus , The Messiah is the ONLY means by which man can inherit eternal life. I challenge my LDS readers to perhaps consider picking up a non - LDS version of the Bible, that does not have the Joseph Smith translations and read for one self. There are many wonderful modern translations of the Bible, and yes they are reliable. The New KJV and NIV Bibles are reliable and wonderful translations. Pick one up and give it a try. I promise you that if you read with a sincere heart you will be changed. God's Word is just that powerful. Seth, thanks again for sharing and for the opportunity to respond to your comment. Is the Bible translated correctly?
" We believe the Bible to be the Word of God, as far as it is translated correctly"
When I was LDS, I believed that the Bible was "mistranslated". That is to say, I didn't believe the Bible was completely in error, but had been "mishandled" in the translation process over the years and "plain and precious" truths had been removed. There is a kind of mind set in the LDS church that the Bible is "hard to understand" not as easy to read as the Book of Mormon. LDS are biased in their belief that the Book of Mormon is more "pure" than the Bible. Although they do recognize the Bible and use it in their Sunday School classes , there is a underlining mistrust in the Bible. The above quote, at the top of the blog entry, is from the LDS Articles of Faith. ( similar to a statement of faith). The LDS church believes the Bible is "correct" as long as it is translated correctly. So "who" decides if a particular passage is translated correctly or not? Mr. Joseph Smith, founder and first LDS prophet believed that the Bible was mistranslated and as such changed verses and passages from the Bible. LDS today call his translations the "inspired" translation or Joseph Smith Translation. These changes and alterations can be found in the back of the LDS published version of the King James Bible. ( the only authorized Bible LDS are encouraged to read). The Subheading for Chapter 13 of 1 Nephi in the book of Mormon, states the "loss of many plain and precious parts of the Bible". These passages from the the Book of Mormon ( a book that LDS believe is the most correct of all books) clearly states that LDS believe that the Bible has "missing" parts/truths that cause men to stumble. The believe that the "abominable church" ( once believed by many LDS to be the Roman Catholic Church, but now no longer taught) took out truths from the Bible. This was done with the "intent" to blind men and harden their hearts. For non LDS readers, now you understand "why" LDS have a hard time trusting God's Word found in the Bible. Their own set of Scripture, that they view as the most correct of all books, teaches them that it is a "fool" who says that God's Word, found in the Bible is enough. They have been taught that the Bible is missing truths, that the great and abominable church ( once believed to be the roman catholic church) took out "plain and precious" truths to harden mens' hearts and to blind man. Do you see why the distrust in God's Word? Joseph Smith undertook the daunting task of re-translating the Bible. Most passages stayed the same as the original KJV version, but there are some key passages that have been changed. Recently the LDS church announced that they have re-translated the Spanish Version of the KJV Bible. For LDS readers you can read more about this on http://www.lds.org/ This is not added footnotes and such as found in the LDS KJV, but a whole "new" translation. I wonder if the English KJV is next in line to be "re-translated" by the LDS. Time will tell. When I began to read the Bible from cover to cover, it changed me from the inside out. My eyes were opened and God's word did a mighty work in my heart. It was not difficult to understand, but very plain and simple. THe gospel of John affected me the most. It so simply and clearly pointed me to the Messiah -- the Lamb. My heart was not hardened, nor were my eyes blinded. On the contrary after a lengthy study of the Bible, I came to the conclusion that Christ alone is all I need to inherit eternal life. That is how powerful God's word is. God did a great work in my heart and mind thru the reading of the Bible. 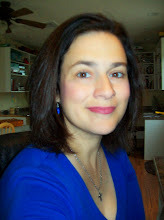 I was not "looking" to leave the LDS church, when I began my extensive study of the Bible. God clearly pulled me out, and the Word of God, found in the Bible had a mighty affect on me. I realized the Bible can be trusted! It is reliable! It has not been mistranslated as the LDS claim. After leaving the LDS church I began to study the History of the Bible and how it came to be put together. Amazing. I recently purchased a book that helped my children and I understand the painstaking process of compiling the bible. I recommend this book not only for LDS readers, but also for Christians. It's a great book, especially for kids because it is a visual book, with lots of photos. How We Got the Bible by Clinton E. Arnold, published by Zondervan. There is so much archaeological research that also supports the Bible as authentic and reliable. There is NO doubt that places like Jerusalem, the Jordan River and the Dead Sea existed! They exist today! Ancient ruins have been uncovered, places like Jericho, that show that the walls were indeed destroyed/torn down. The oldest form of any portion of the Hebrew Bible is over 2,600 yrs old and contains portions of Numbers chapter 6. This was discovered in an excavation of a burial tomb near Jerusalem in 1979. The Dead Sea Scrolls also reveal evidence that the Bible is not only authentic, but recent translations support the translations of years past. There is congruence and continuity. The oldest fragment of the New Testament is a portion of John's gospel that dates to AD 125. It was discovered in Egypt in the 1920's. Contrary to what the LDS church teaches, the Bible has not been mistranslated. So far the Dead Sea scroll translations show that the translations are congruent with Biblical texts today. Men like William Tyndale, John Wycliffe and Mart Luther went thru extraordinary feats to translate the bible from the Greek and Latin and Hebrew so that the common Christian can know God's word. The Bible continues to be translated today into many languages and dialects. The Bible continues to be the World's Best selling book. The LDS reader may question whether the Bible is still accurate after 2,000 yrs? The answer to that question is a resounding YES!!!!! The Bible was translated thru a very careful process with many checks and balances along the way. Furthermore, the scribes working on copying the text of scripture took extraordinary care not to make careless mistakes. They had great respect and reverence for God's word and handled it carefully. Today we also posses the advantage of having many ancient manuscripts that can be dated back not far from the originals. When we compare the Bibles we use today the result is an astonishing degree of correspondence. The apostle John, walked and talked with Jesus and bore His record in written form. His record is true, and he does so that readers may believe that Jesus truly is the WAY! The Bible is God's record of His dealings with His people, of their falling away, and of their need for salvation thru Christ the Lord. It is relevant for us today and it is most definitely reliable and translated correctly. I challenge my LDS readers to put my words to test. Sincerely open God's word, and read for yourselves. I have faith and trust in God that He has preserved His word for generations. I promise you that if you do read God's Word with sincerity of heart, your heart will undergo radical changes. For those of you who are reading who already know the Bible to be God's word, that endures forever, I challenge you to continue your study of it. Now you understand why your LDS friends may not accept the Bible as God's word and may express a distrust of sorts. The LDS church has recently been attempting to show forth a different face when it comes to the Bible. A recent video by an LDS leader depicts the bible as a "miracle" and "inspired". Be careful, and remember that in their statement of faith, they openly declare that it is translated correctly only to their approval. The book of mormon also declares that the Bible has been tampered with. Although the LDS church has made recent attempts to place more focus on the Bible, the fact does stand that their scriptures teach that the Bible can not be trusted as accurate. The truth of the matter is that the LDS will take into consideration Joseph Smith's translation over what the Bible states. ( for an example of this, you may compare John 1:1 from the KJV to the Joseph Smith translation of the same passage of scripture) . I testify to my LDS readers that the Bible is indeed God's word! It has withstood the test of time, and will continue to do so. It continues to testify of the need of the Lord Jesus Christ and of His sacrifice for our sins. It can be trusted. It is reliable. It is not mistranslated as you have been taught. It can be trusted! Don't take my word for it, but go and read it for yourselves. God is the author of the Bible, and His word surely has not returned void. Hey all, so sorry I have been MIA lately. :) The family and I took a trip out west for my niece's wedding. We drove 1,800 miles from Missouri to Seattle. The kids did great and we had a wonderful visit with family. We also enjoyed a visit to Mt. Rushmore and the Badlands in S.Dokata. Both amazing sites to see! God was so good to us, after praying for weeks for the funds to be able to make this trip, the Lord provided the funds a week or so before the wedding to be able to make the trip. Not only did we have enough money to stay in hotels and eat out occasionally and put $ into our gas hog of a huge van, we came home with some cash in our pocket book too!! Thank you Jesus! We paid cash for the entire trip and were blessed beyond measure! As always the Lord is soooooooo good.